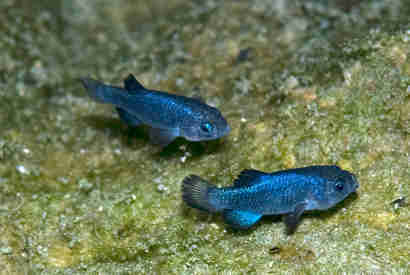 Fewer than 100 Devils Hole pupfish remain, and they all live in a single cavern that plunges 500 feet deep into Nevada limestone near Death Valley National Park. These inch-long fish were one of the first animals to be included in the precursor to the Endangered Species Act in 1967 - and scientists are still trying to figure out the best way to protect the little pupfish. 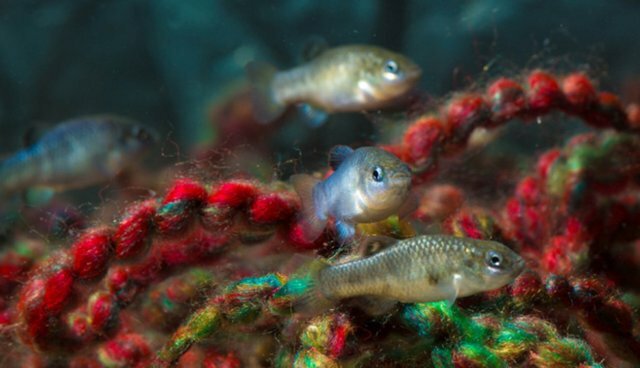 Last year, the wild population of pupfish dipped to the lowest numbers on record: just 35 fish. Responding to the decline, wildlife ecologists like University of Berkeley professor Steven Beissinger are attempting to figure out the best way to preserve this endangered species. Beissinger calculated that capturing any more than six adults annually over the next three years puts the pupfish at an increasingly high risk of extinction, in a study published in the journal PeerJ Tuesday. To keep a viable population alive in their geothermal pool, the preferred course of action would be to remove eggs to a breeding facility. If this plan doesn't work, however, pupfish might be approaching a "California Condor moment," the ecologist says. The last wild California condor was captured in 1987 and placed in a breeding program that totalled 22 birds - the entire condor population. But the nearly thirty years of condor conservation efforts appear to be making an impact, with roughly 230 birds having returned to their home ranges. Compared with the 5-year-long maturation of condors, pupfish grow into adults much quicker, the scientist points out, which may help a captive fish population expand more swiftly. "Somehow, this handsome little fish has heroically persisted in the harsh desert environment through thousands of years of drastic climate warming and droughts," Beissinger says in a statement. "Should the human condition ever arrive at this point after another century of increasing carbon dioxide emissions and climate warming, we may need someone to help us out of our hole."